Come for a visit to the heart of Northern California and explore the beautiful city of Rancho Cordova. History buffs, sports enthusiasts, arts & culture lovers – there’s something here for everyone. Enjoy all of the outdoor activities, things for the kids, and activities for the adults like exploring wine country. Sutter’s Fort State Historic Park. Marshall Gold Discovery State Historic Park. Travel here October 1-2 and come for the 2016 California Capital Airshow featuring U.S. Navy Blue Angels and more. Take a trip to Placerville and enjoy the “throwback experience”. Check out all the shops and restaurants. Don’t miss out on the El Dorado County Historical Museum. Folsom Lake State Recreation Area. During basketball season you can see a NBA home game of the Sacramento KingsNBA home game of the Sacramento Kings. During baseball season see the minor league team, the Sacramento Rivercats. The professional soccer Republic FC team and Sacramento State University’s sports teams are located nearby as well. Traveling for a special occasion or with a group of friends? Taste the local craft brews at the American River Brewing Company and Gekkeikan Sake Tasting Room. Indulge in a fine glass of wine at Amador County Wineries, El Dorado County Wineries, or Lodi Wineries. No matter if you are traveling with the family, friends or even solo you will find something in Rancho Cordova that you enjoy. 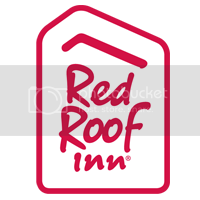 During your trip, stay with Red Roof Inn Rancho Cordova – Sacramento. Our property is newly renovated and offers 100% smoke-free rooms, an outdoor unheated pool, a fitness facility onsite, free WiFi, and don’t forget pets stay free with Red Roof. Experience more WOW in Hartford, CT!